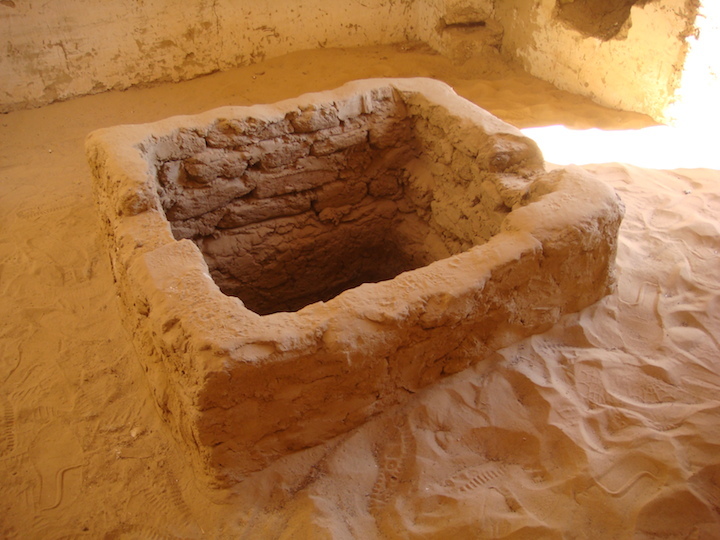 This is an amazing site. 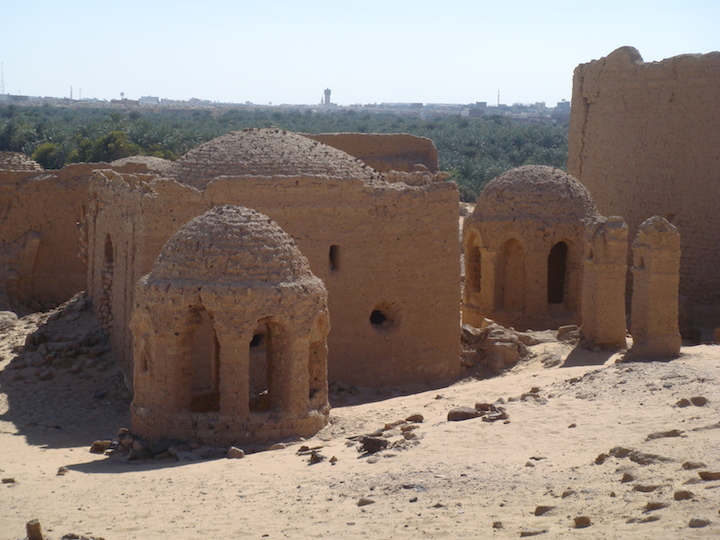 It is quite large with a vast expanse of domed mud-brick mausoleums and underground galleries of varying styles and sizes. 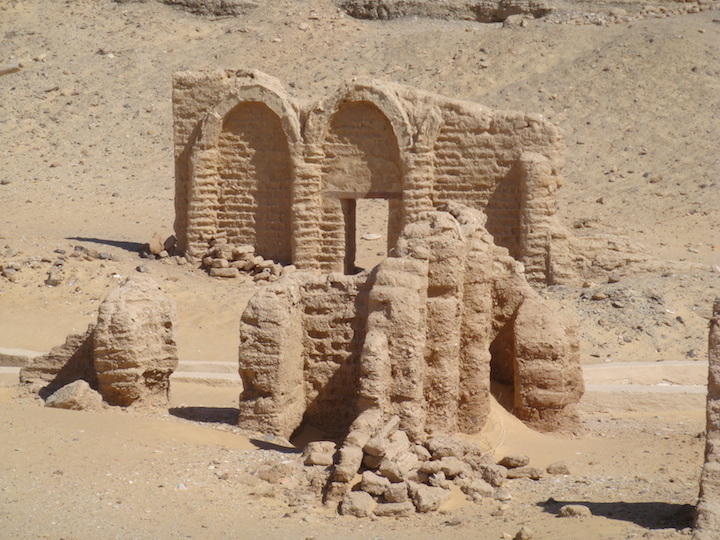 They were built over the site of an earlier Egyptian necropolis of pit-graves. 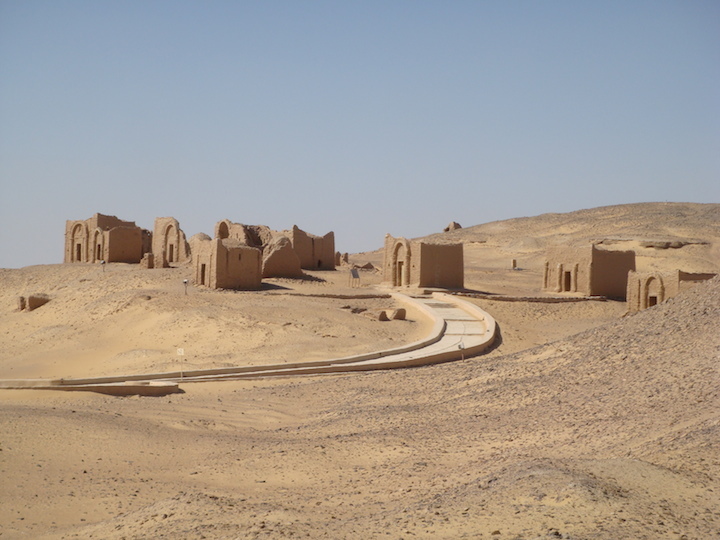 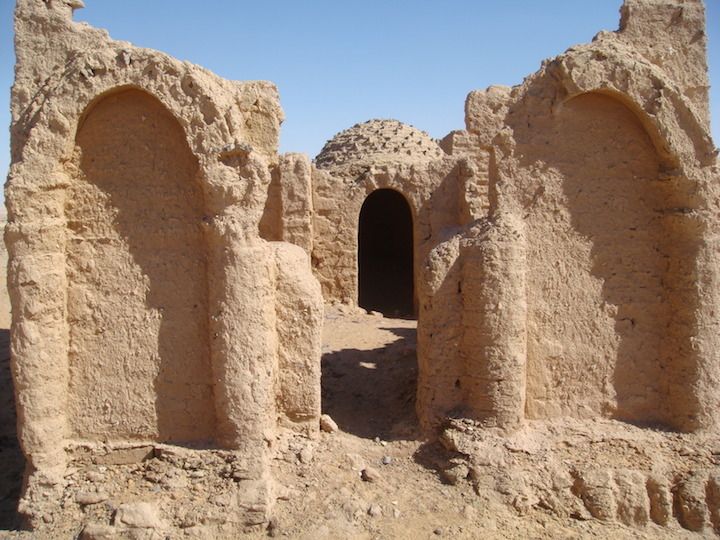 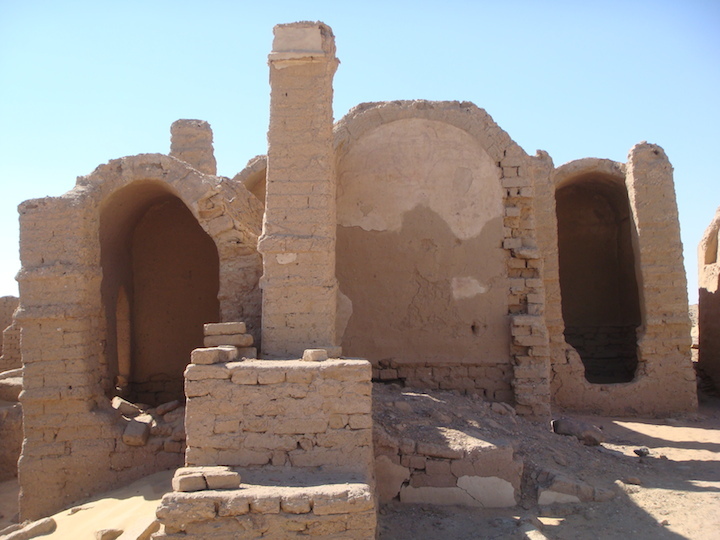 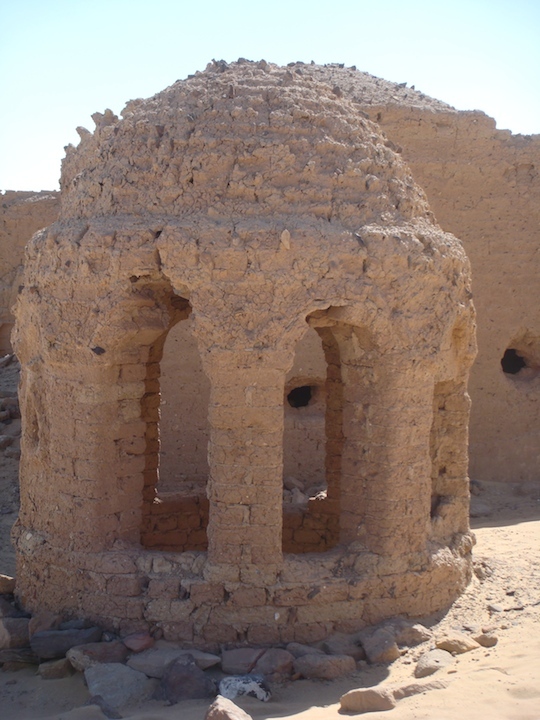 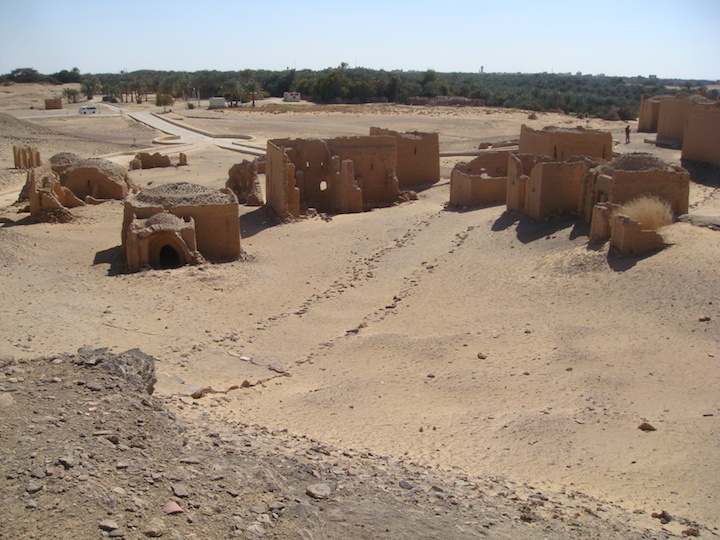 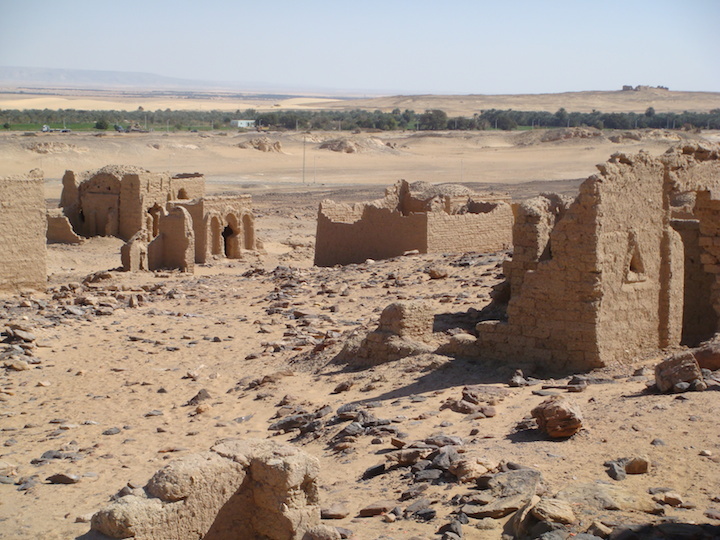 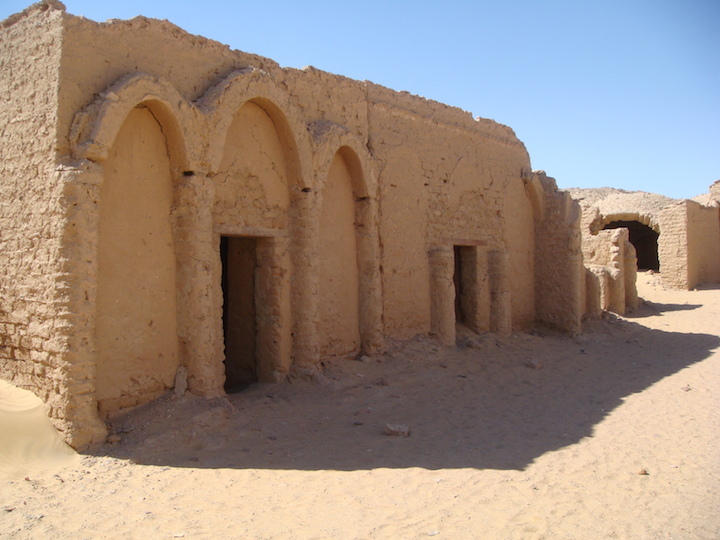 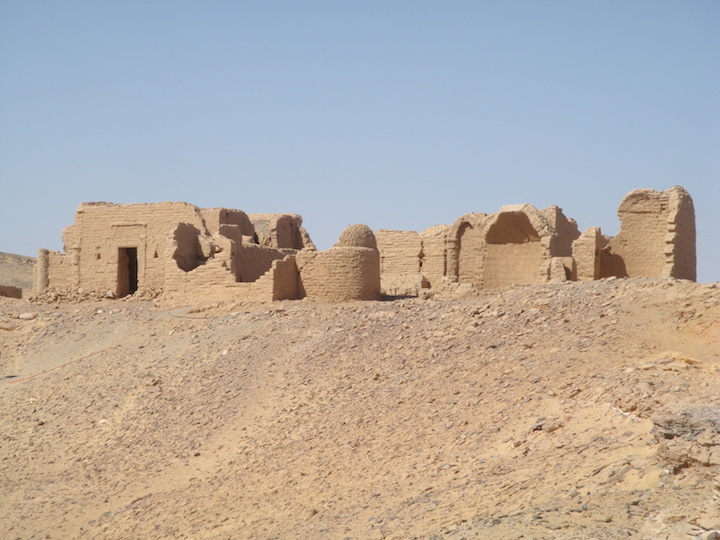 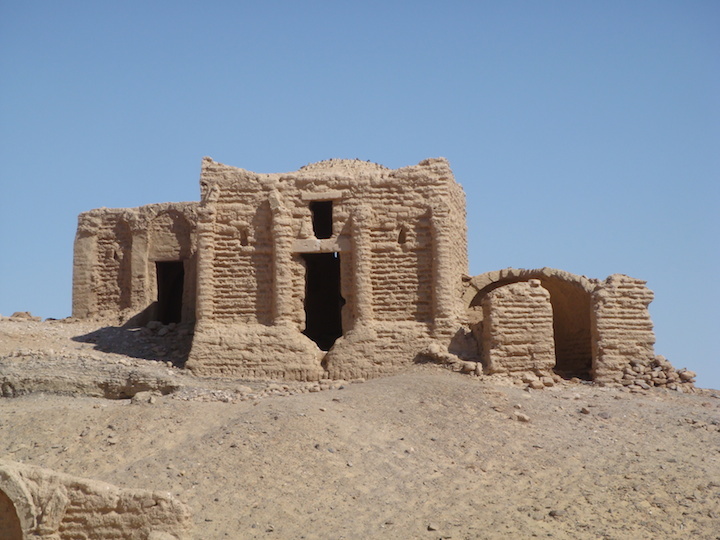 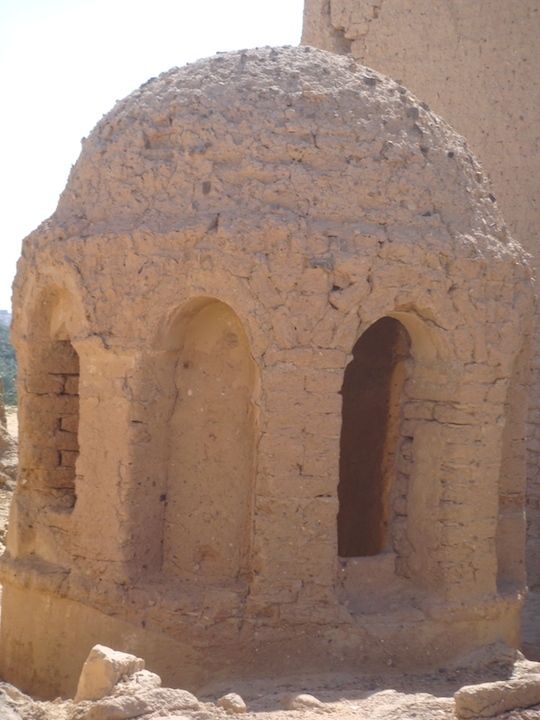 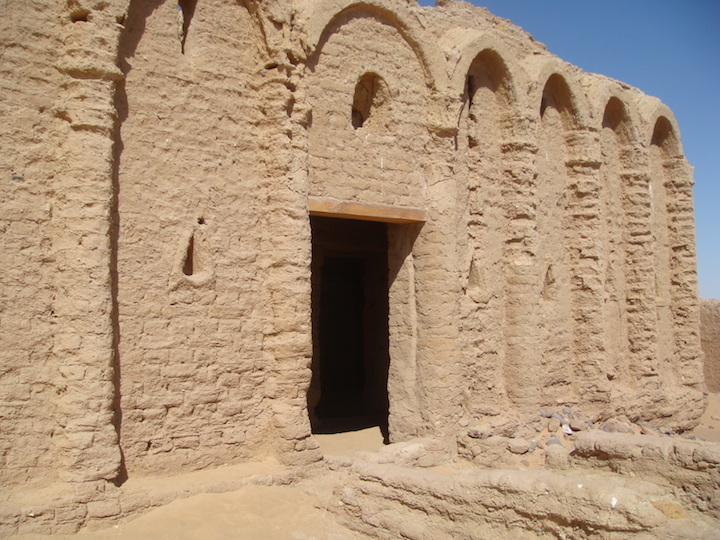 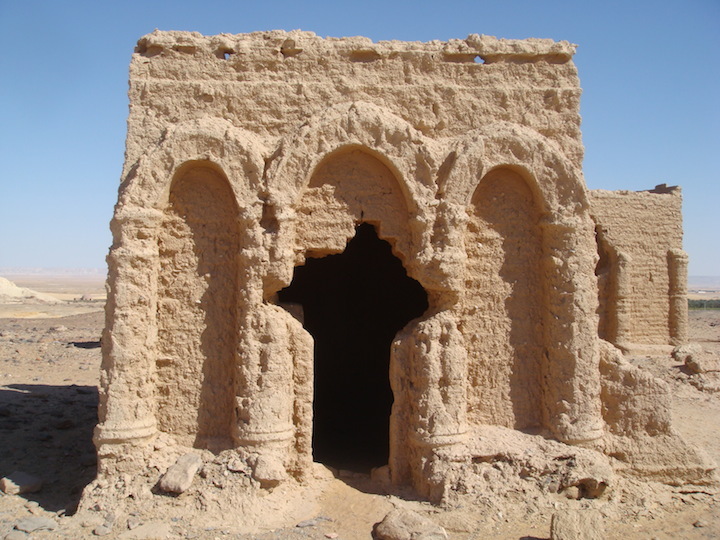 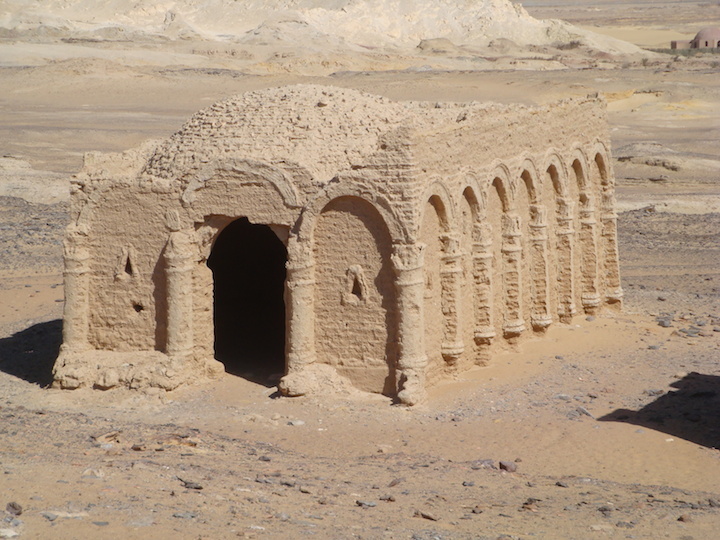 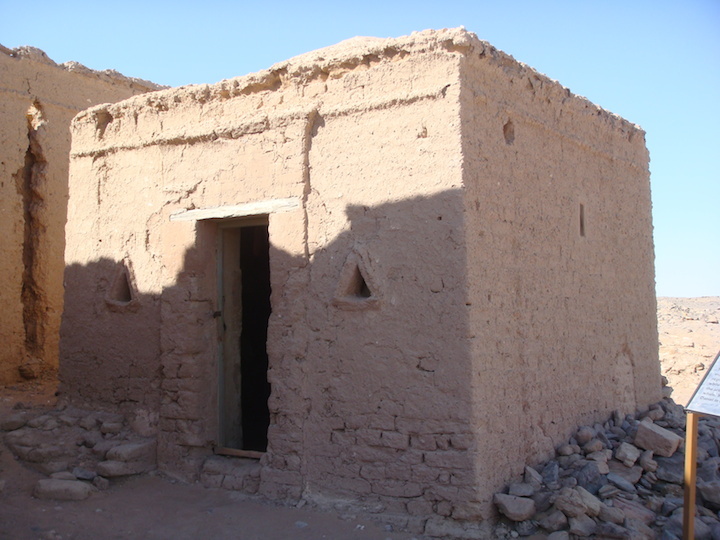 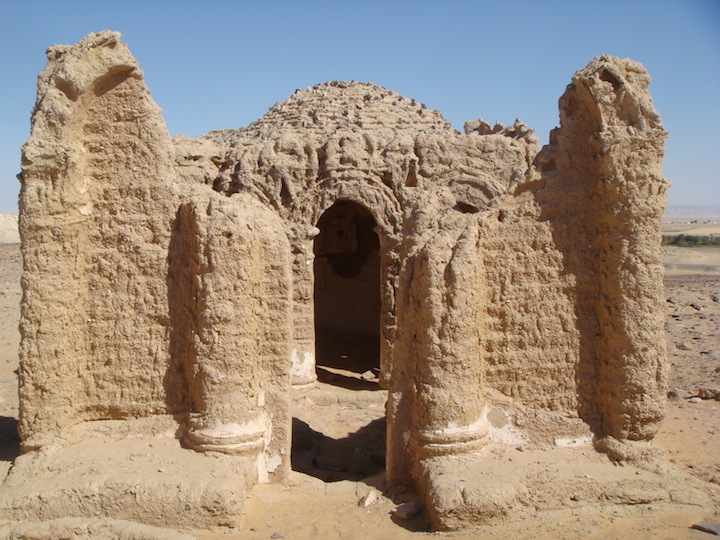 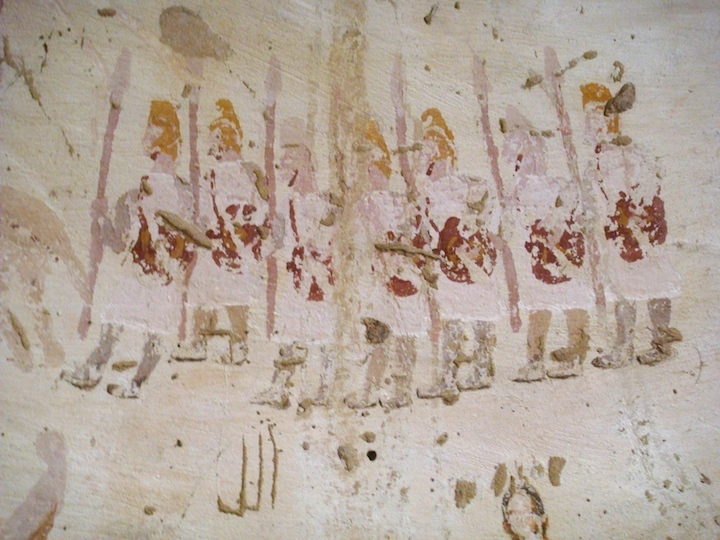 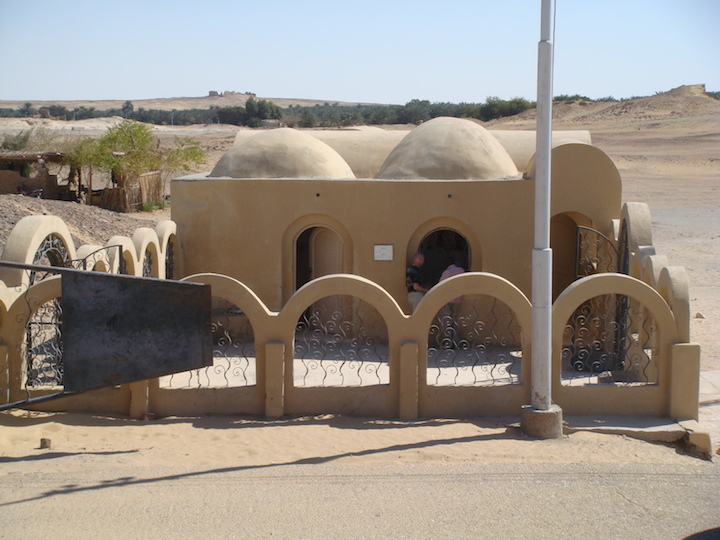 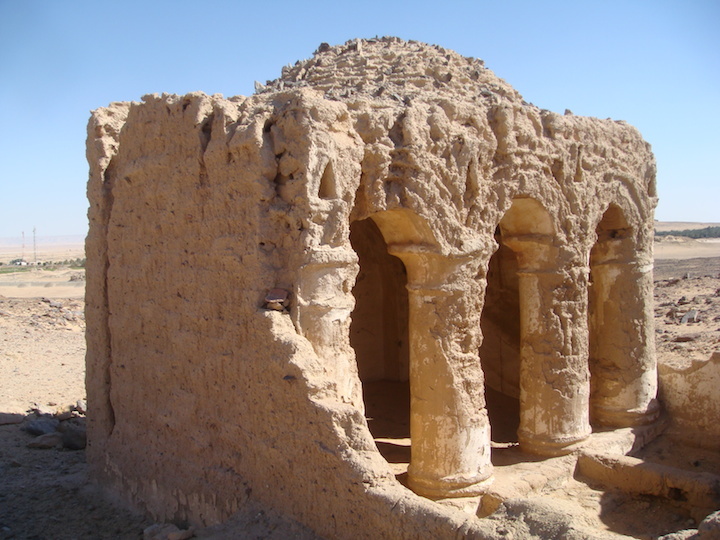 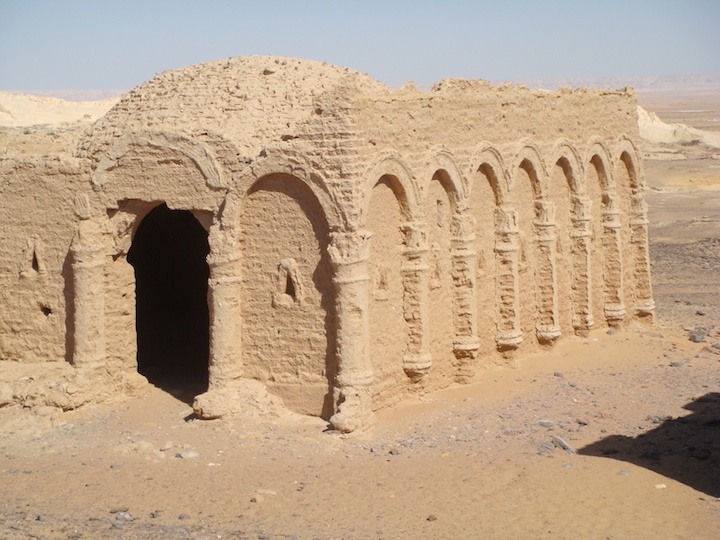 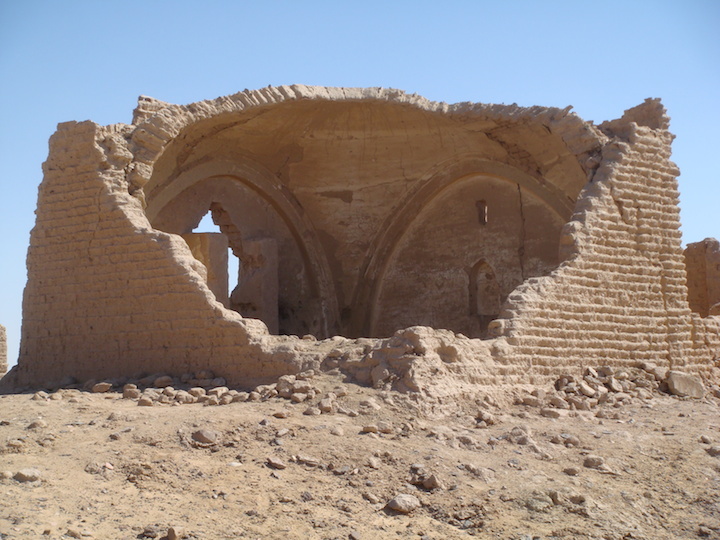 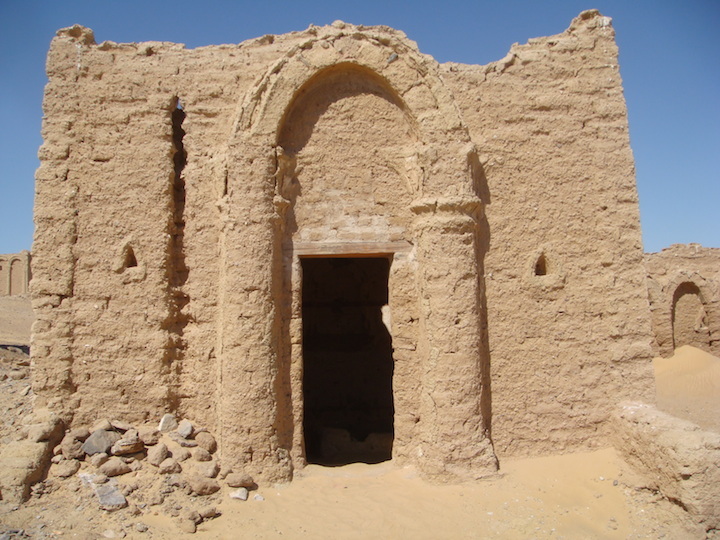 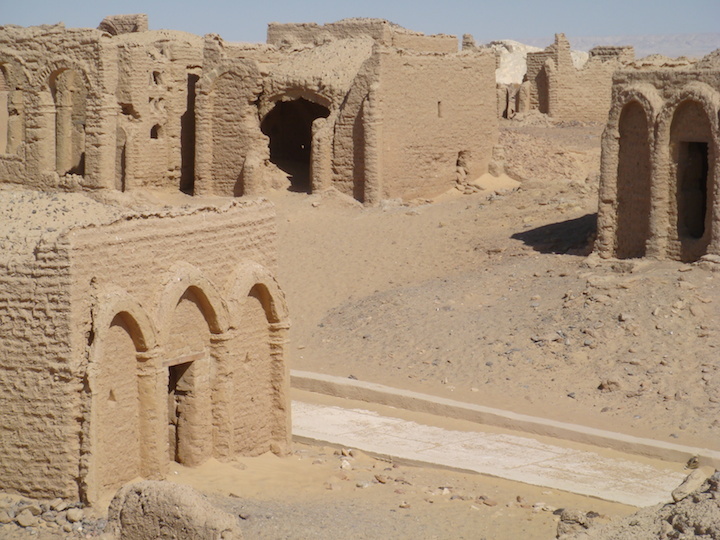 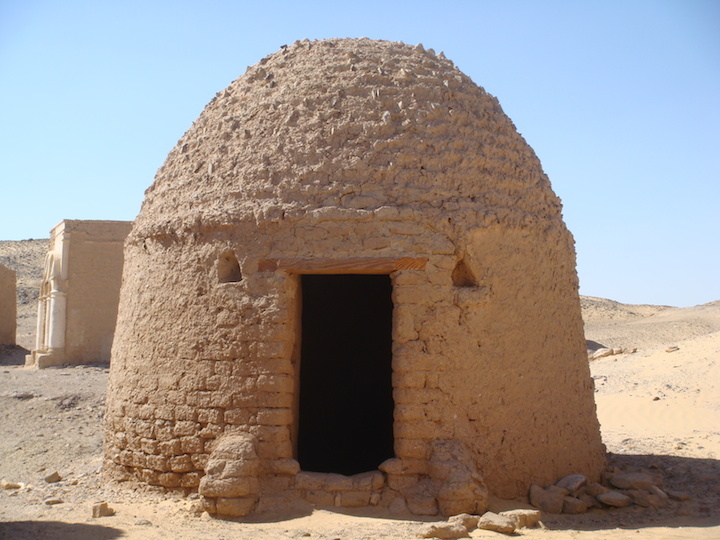 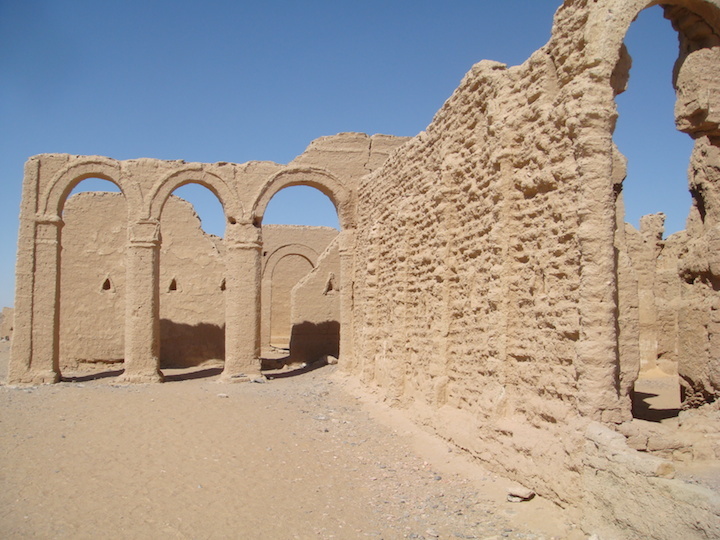 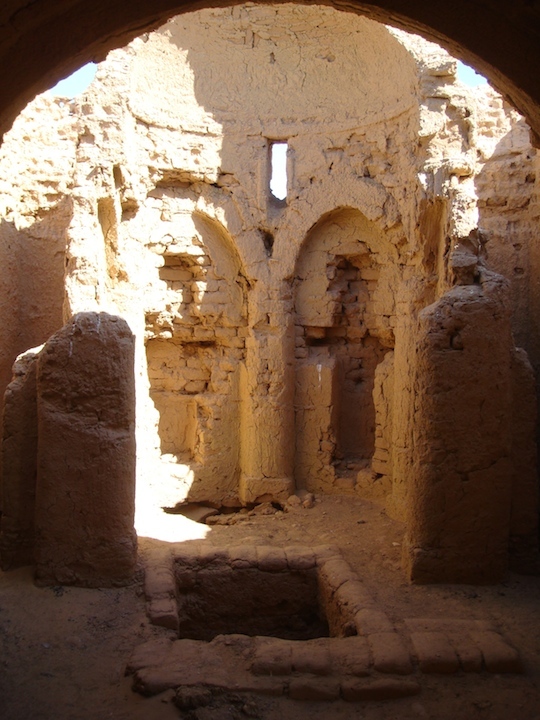 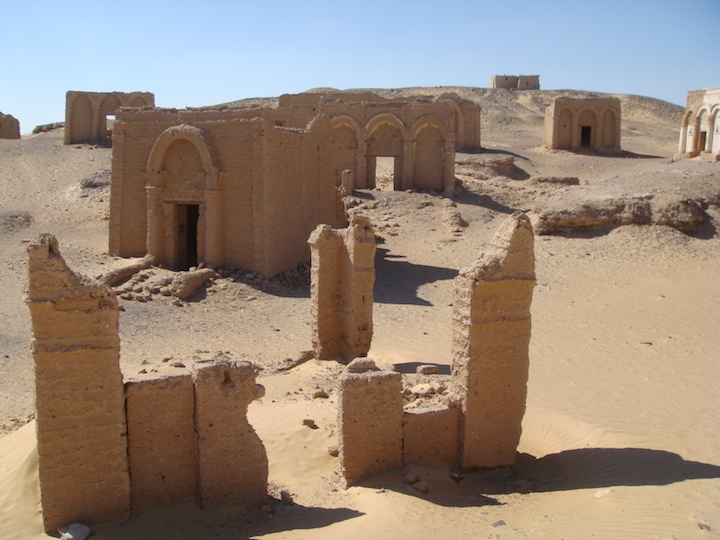 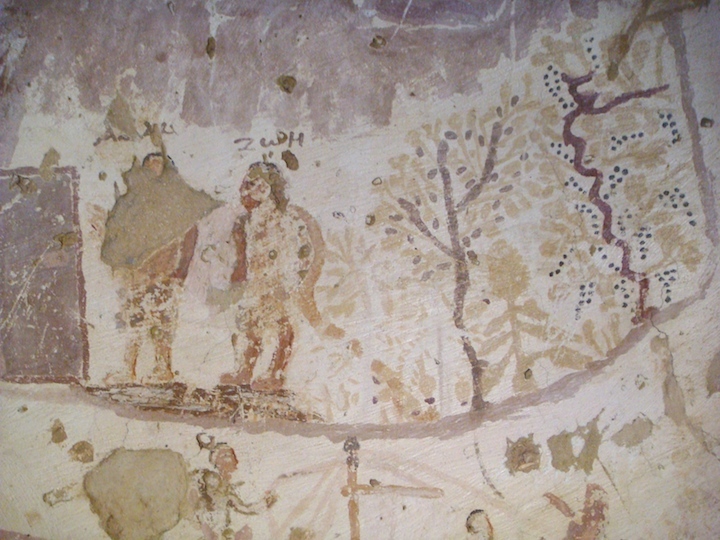 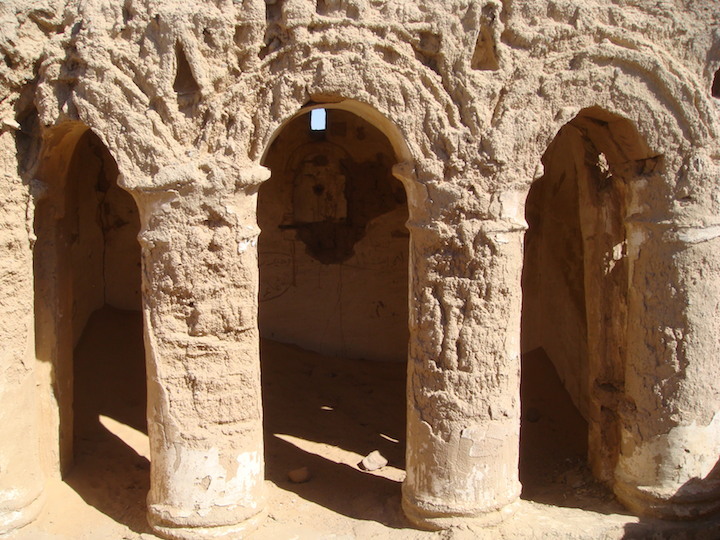 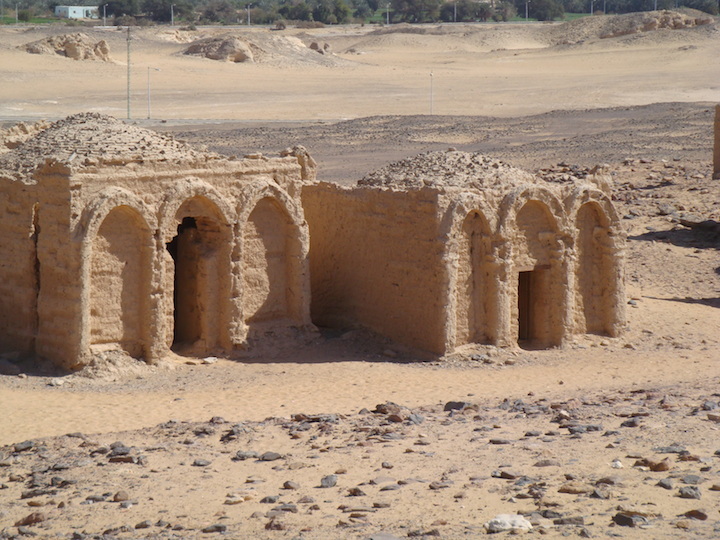 About 3km from the centre of el-Kharga and 1km north of the Temple of Hibis is the early Christian cemetery of Bagawat. 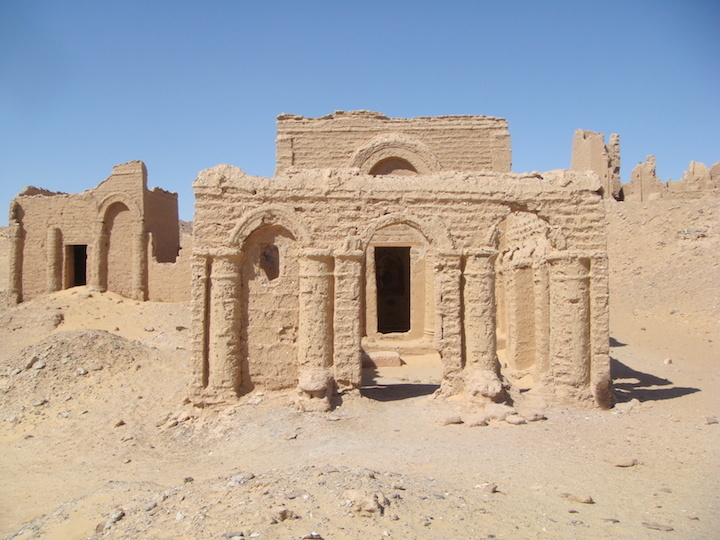 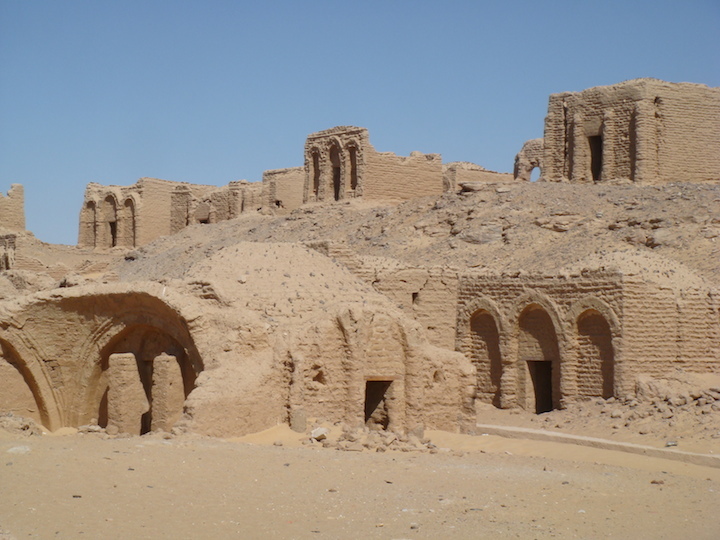 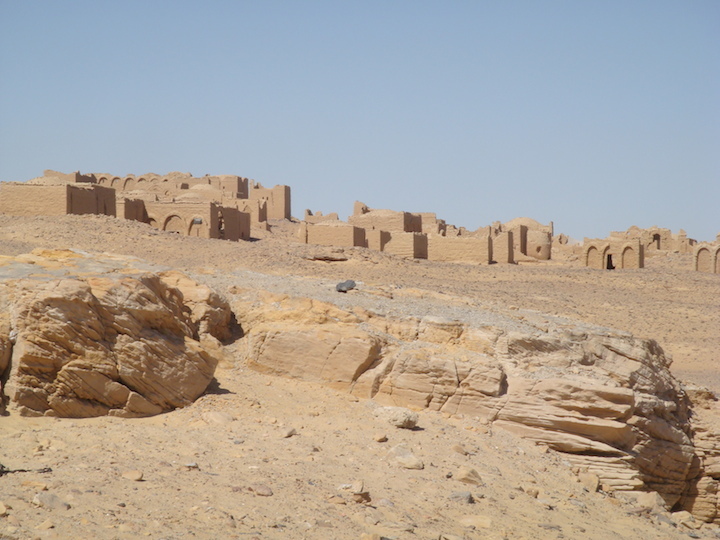 Sprawling up the lower southern foothills of Gebel el-Teir, Bagawat is perhaps the oldest major Christian cemetery in the world and has become a main tourist attraction for Kharga Oasis. 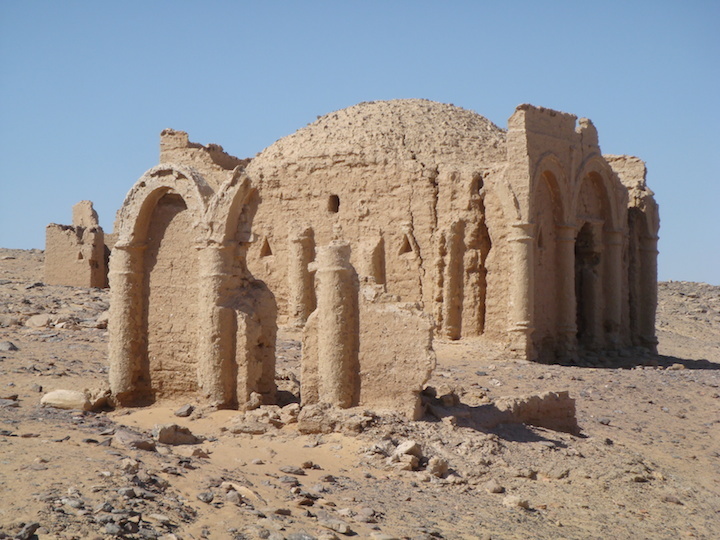 The Christian cemetery at El Bagawat was began in the 2nd century AD and continued until the 7th century AD. 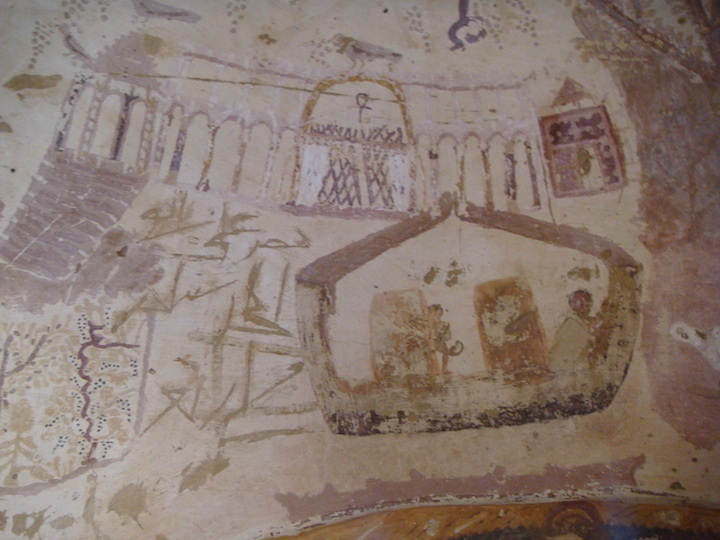 The necropolis contains 263 chapels including several with important painted plaster decoration based on Biblical scenes. 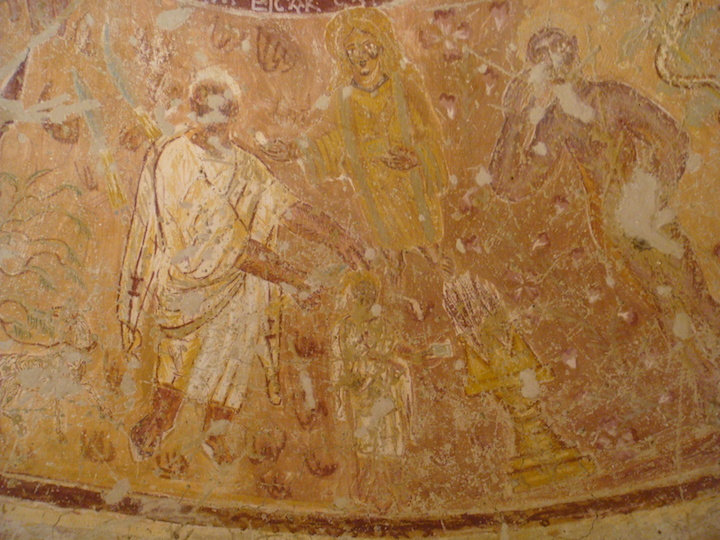 The funerary chapels are laid out in streets similar to other Roman and Byzantine cemeteries. 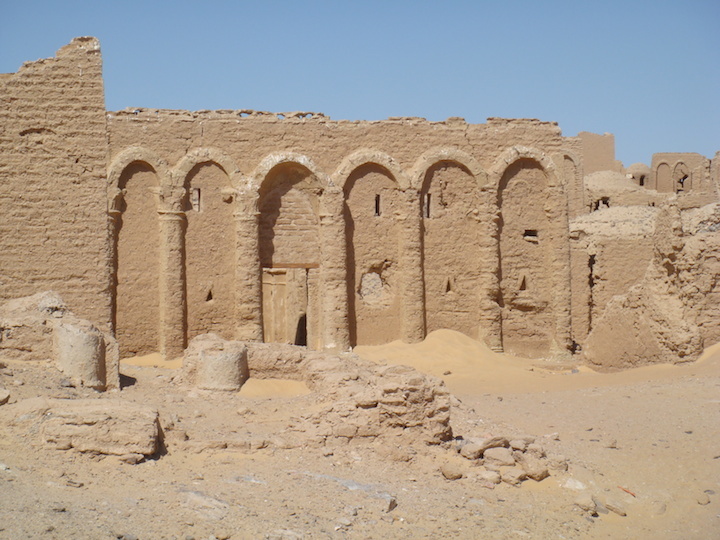 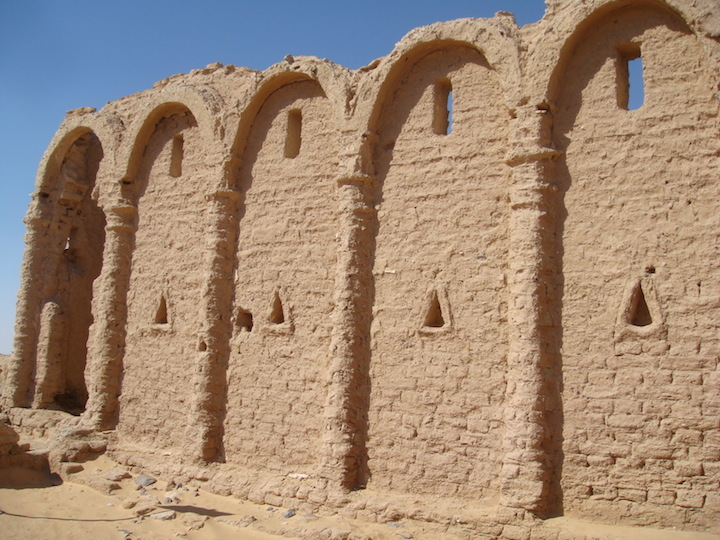 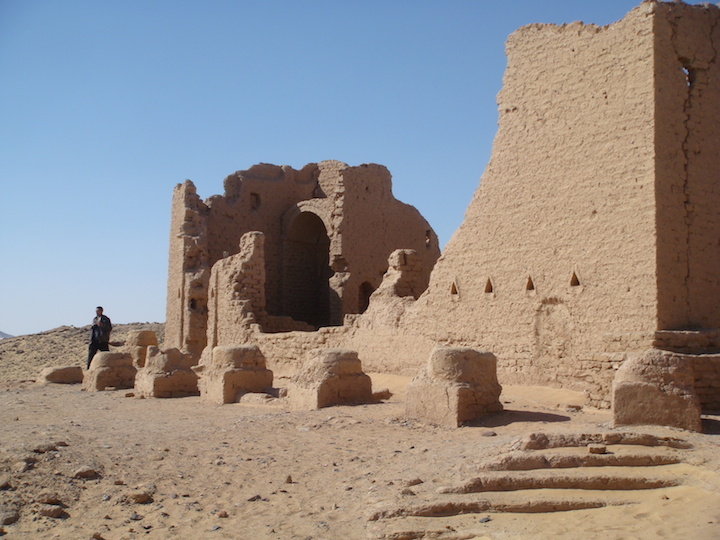 The largest building at the site is a triple-nave church, also constructed of mud-brick. 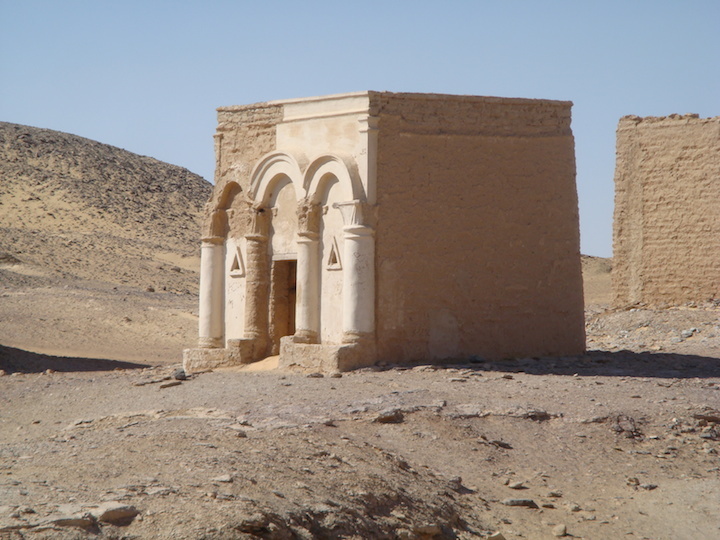 Two of the most outstanding and best preserved of the decorated chapels have doors and are “The Peace Chapel” and “The Exodus Chapel”. 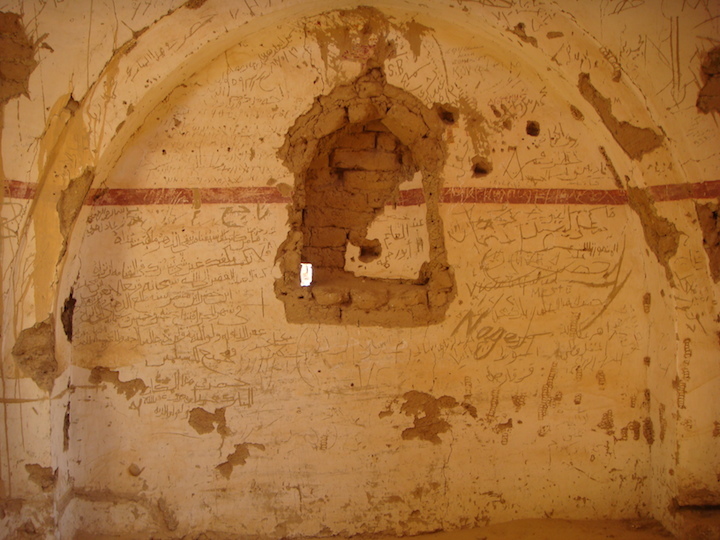 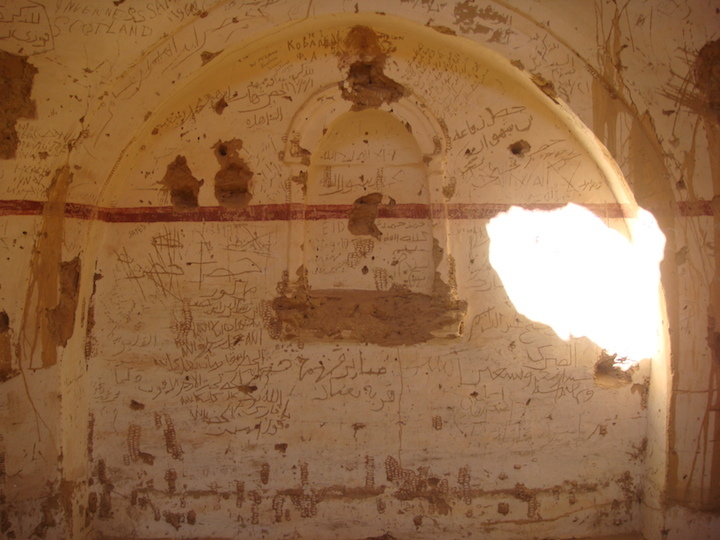 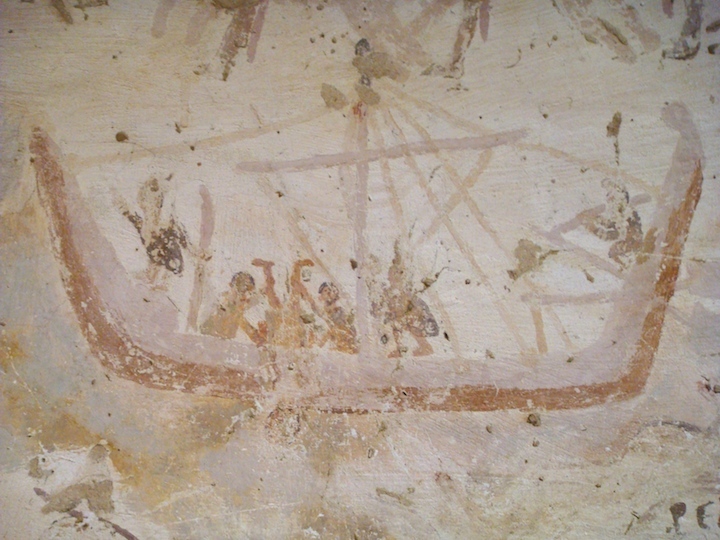 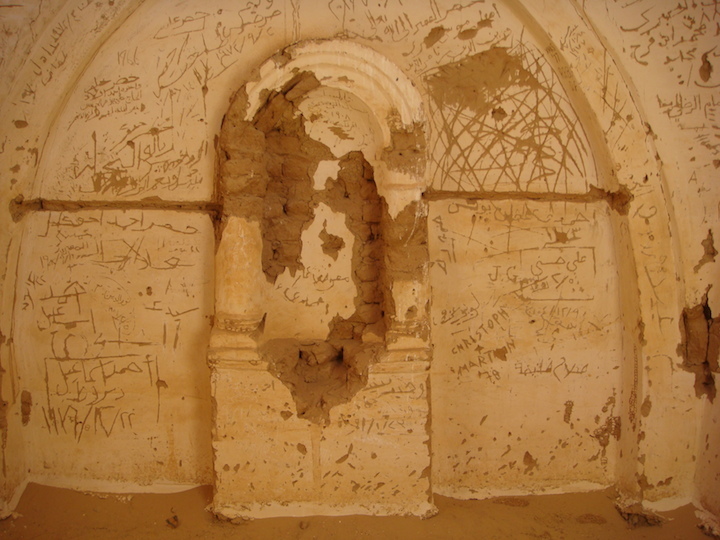 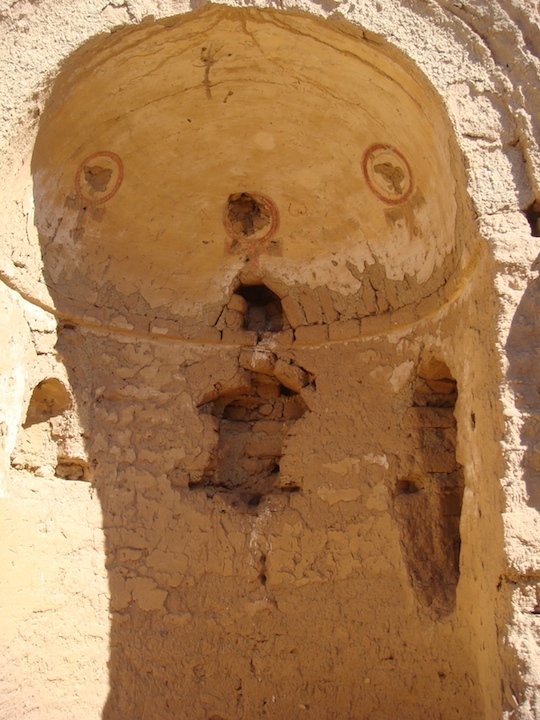 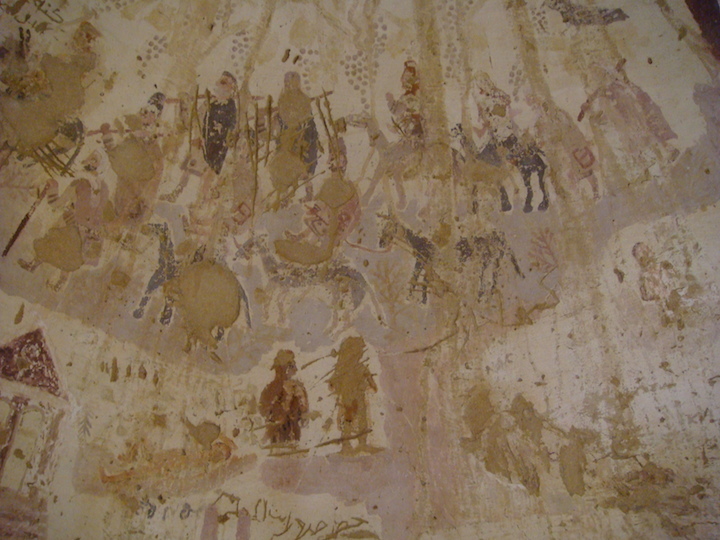 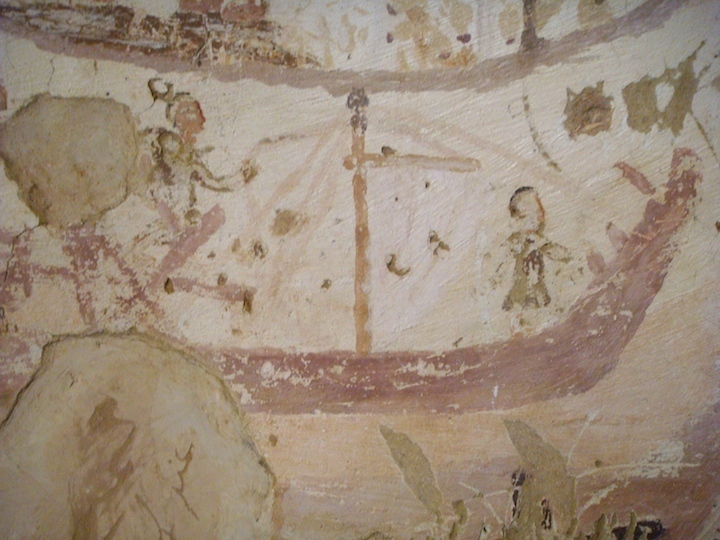 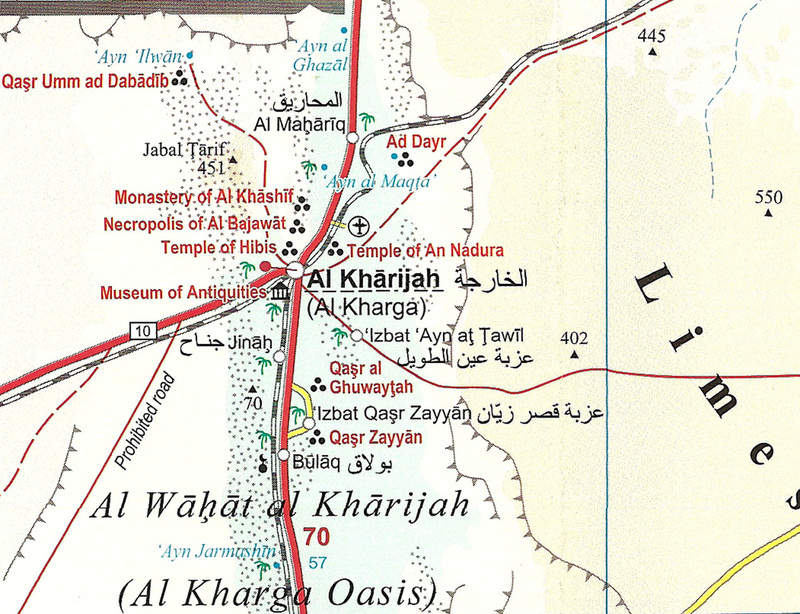 Numerous Arabic graffiti dating from the 9th century to the present day can also be seen in some of the chapels, including some by Turkish soldiers thought to be garrisoned at Bagawat in the late 18th century. 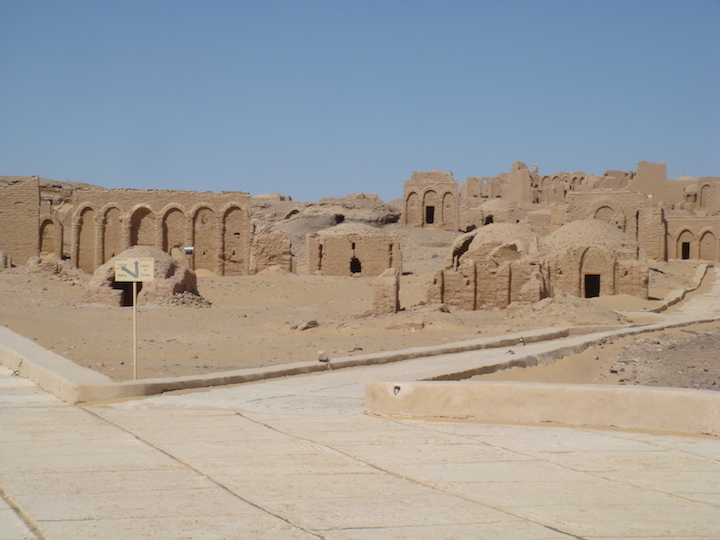 It is a very peaceful place to wonder around and to take in the beauty of these varying sized buildings. 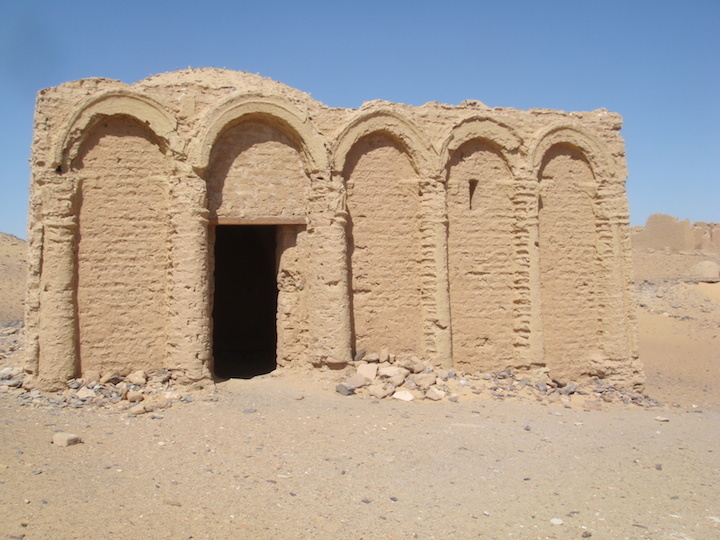 Named for the allegorical depiction of Peace (Eirhnh), this chapel dates to the 5th or 6th century AD. 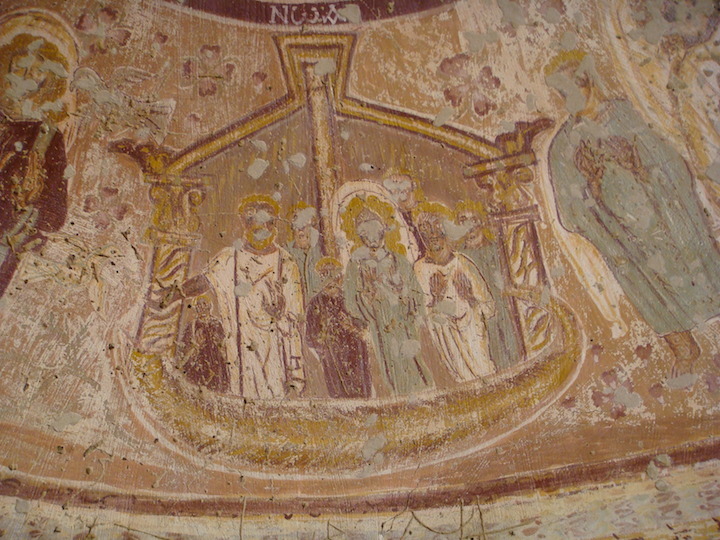 A single register of sophisticated depictions of Biblical figures decorates the domed ceiling of the chapel. 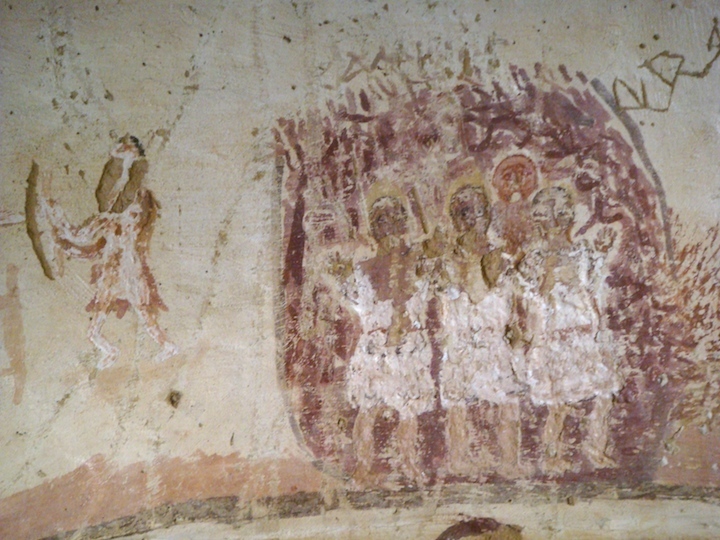 Each figure is labeled in Greco-Coptic and includes the allegorical images of Peace, Prayer and Righteousness alongside Daniel, Jacob, Noah, Mary, Paul, Thekla, Eve, Adam, Sarah, Isaac, and Abraham. 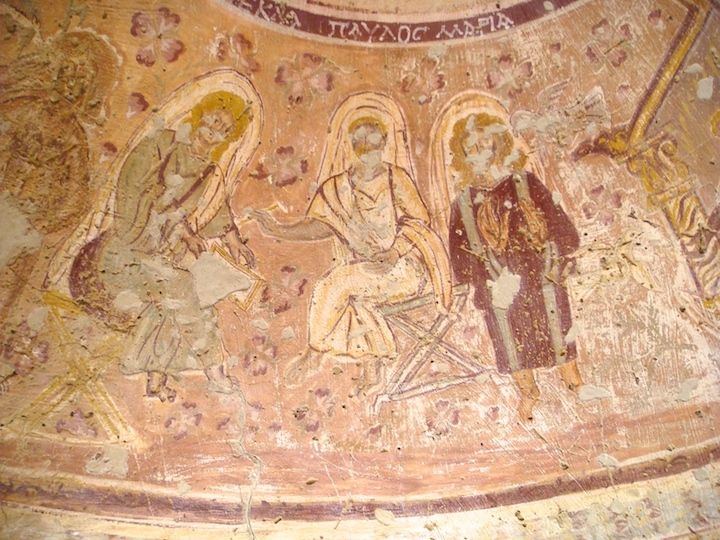 The painter of this chapel was probably a trained artist, skilled in the Byzantine style of the day. 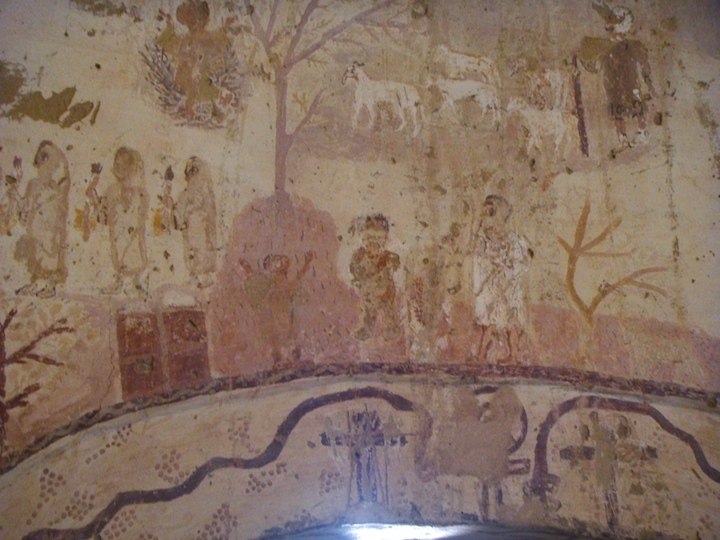 Scenes from the Exodus story dominate the decoration of this chapel, including Moses leading the Israelites and the Egyptian army chasing the Israelites across the Res Sea. 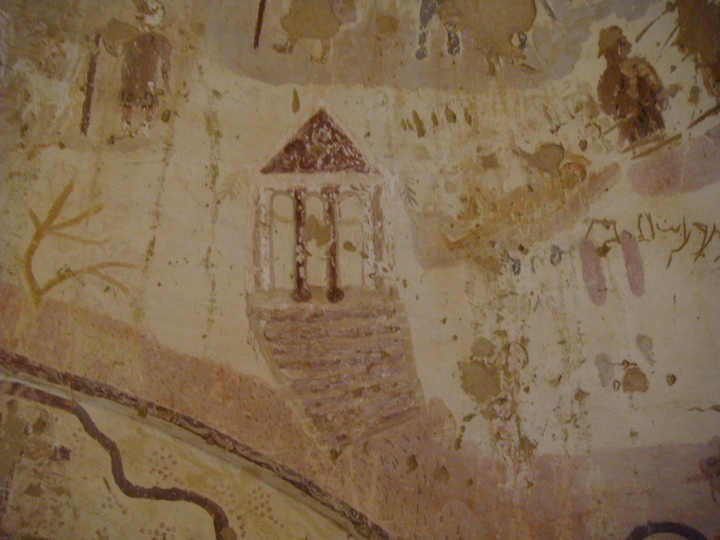 The building with seven steps within the Exodus narrative may represent the temple of Jerusalem. 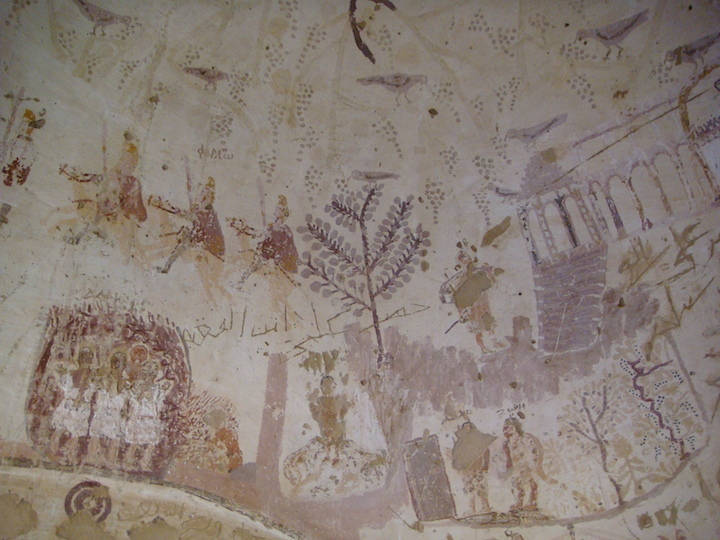 Above the Exodus register, the dome is decorated with grape vines and birds while below is a series of Old Testament scenes: Noah and the Ark, Adam and Eve, the Sacrifice of Isaac, Jonah and the Whale, Shadrach, Meshach and Abednego in the furnace, Daniel in the Lion’s Den and the Martyrdom of Isaiah.